Check-in at Diemersfontein Wine and Country Estate just outside Wellington any time after 14:00. (DBB). See directions. Meet your guides here for a walk briefing, followed by your first wine tasting. Day One of your Wellington Wine Walk starts early. Your guides will come to the Diemersfontein Wine and Country Estate car park to collect you. You will be taken by tractor and trailer from Diemersfontein Wine and Country Estate towards the foot of the original Du Toit’s Kloof Pass. Walk uphill for about 45 minutes and then stroll along the contour paths of Kleinboschkoppie through the fynbos. Continue to walk downhill alongside the vineyards with the neautiful Paarl Valley ahead of you. Walk through the historic Augusta Kleinbosch. 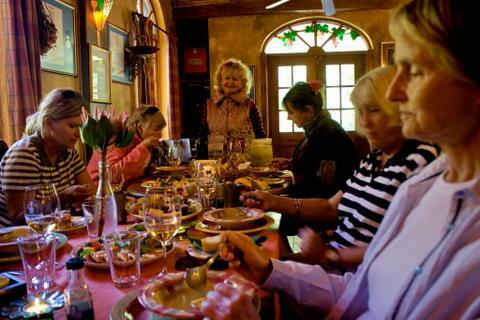 Arrive at Druk-my-Niet for a well-deserved wine-tasting accompanied by a picnic lunch. After lunch proceed through more vineyards entering the biggest olive farms in the country. Proceed to the impressive Cascade Country Manor and check in for the night. Take a stroll to their lovely waterfall – a popular site for wedding photographs before your olive oil tasting and dinner. Level: Moderate, some uphills but mostly level and downhill. Your guides will come to Cascade Manor to collect you. Here you will be shuttled to the start of your walk. Hike uphill through buchu fields and vineyards. At the top of the hill you will meet Elsabe for a presentation on the healing properties of Buchu and vine propagation (“stokkies”), while taking in the panoramic view all around you. Taste some of Elsabe’s delicious olive products and pinotage jam. After a good kuier proceed on to Hildenbrand Estate for a wine-tasting accompanied by a light lunch. From here hike through more vineyards to your next guest house: Dunstone Country House, Val du Charron or Monte Video (DBB) – depending on availability. Level: Moderate, a few uphills, mostly level. Your guides will meet you and take you by shuttle up to the old tunnel on Bain's Kloof Pass (half way up the pass) from where you will start walking down on a steep farm track through the fynbos and vineyards to the Doolhof Estate for your first wine tasting. Walk on to Welvanpas (where Piet Retief, the Voortrekker, lived as a child) for your second wine-tasting accompanied by a light lunch. Proceed through the Bovlei valley, past the vine nurseries. The shuttle will collect you to take you to a final wine-tasting at Bosman’s Family Vineyards restored state of the art wine–cellar at Lelienfontein. The shuttle will wait for you here and take you back to your overnight guesthouse, where you will check in for the night. Level: Downhill and level, easy hiking. Your guides will meet you to start your walk in the Bovlei Valley. You will head up the hill to Twyfeling and proceed upwards against the slopes of Groenberg. As one gains altitude the views become increasingly breath-taking. 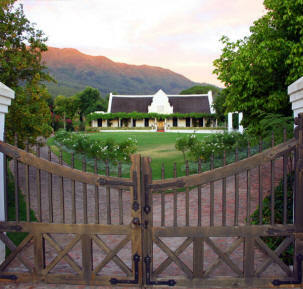 You continue around the foothills of the Groenberg and walk down onto Linton Park Estate. Here you will taste their wines. After your tasting you will leave the estate and headdown through the vineyards towards the outskirts of the town of Wellington. here you will be collected by the shuttle and taken to Oude Wellington Restuarant for lunch. 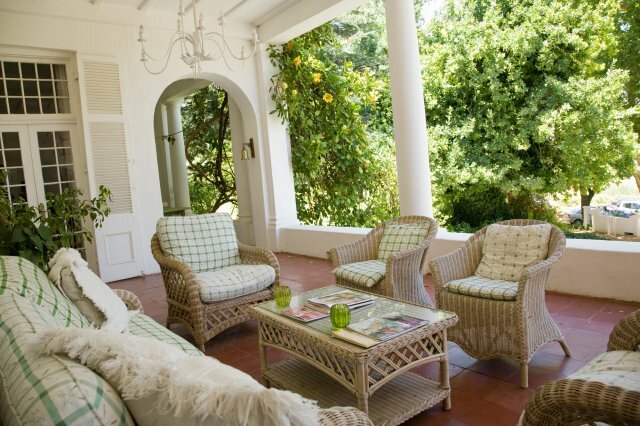 After lunch you are shuttled back to Diemersfontein Wine and Country Estate where your walk ends. Level: Uphill for about two hours with plenty of photo stops to catch your breath, then downhill and level. An optional extra night’s accommodation at the end of your walk is a popular choice, particularly for groups from afar, as it allows you to relax and really enjoy your last night together before heading back home – not to mention the luxury of having a bit of a ‘lie-in’ the next morning! Please contact us if you wish to get a quote for the extra night.